Dr. Bowman and Co-Investigator Dr. Anita Rapp are seeking two graduate students and a postdoctoral research associate to work as part of the Dynamics and Chemistry of the Summer Stratosphere DCOTSS science team (see below). The project will use a wide range of observational systems and models to address a number of critical science questions about dynamical and chemical connections between the troposphere and stratosphere. Interested students should contact Dr. Bowman or Dr. Rapp. Information on applying for admission to the graduate program at Texas A&M can be found here. Dr. Bowman is the Principal Investigator for a new five-year NASA Earth Venture Suborbital (EVS-3) project that will begin in 2019. 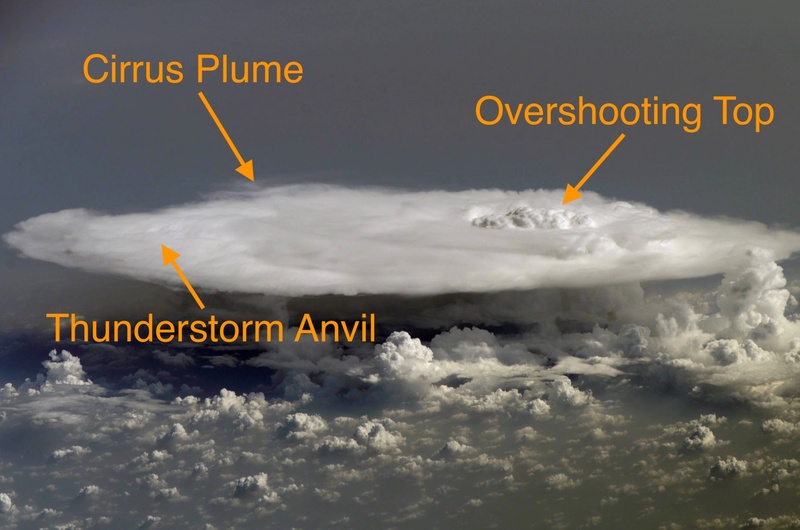 The DCOTSS project will use the NASA ER-2 high-altitude research aircraft to investigate the impact of overshooting convection on the chemistry and dynamics of the summer stratosphere over the United States. Solomon, D. L.*, K. P. Bowman, and C. R. Homeyer, 2015. Tropopause-Penetrating Convection from Three-Dimensional Gridded NEXRAD Data, J. Appl. Meteor. and Climatol., 55, 465–478, doi: 10.1175/JAMC-D-15-0190.1. Siu, L. W.*, K. P. Bowman, and C. C. Epifanio, 2015. Convective transport of trace species observed during the Stratosphere-Troposphere Analyses of Regional Transport 2008 Experiment, J. Geophys. Res.,120, 10,530–10,547, doi: 10.1002/2015JD023645. Pan, L. L., K. P. Bowman, E. L. Atlas, S. C. Wofsy, F. Zhang, J. F. Bresch, B. A. Ridley, J. V. Pittman, C. R. Homeyer*, P. Romashkin, W. A. Cooper, 2010. The Stratosphere-Troposphere Analyses of Regional Transport 2008 (START08) Experiment, Bull. Amer. Meteor. Soc., 91, 327–342, doi:10.1175/2009BAMS2865.1.